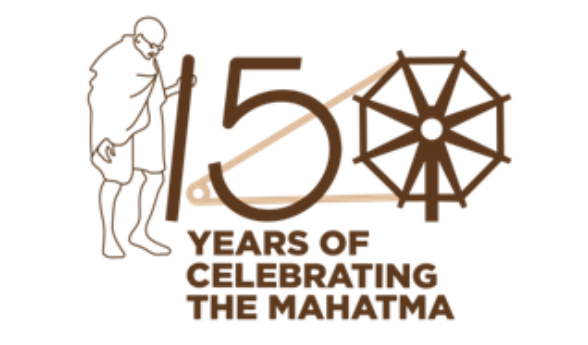 ONI Bureau: President Ram Nath Kovind on Tuesday launched a logo and web portal for the upcoming celebrations of the 150th birth anniversary of Mahatma Gandhi. “The portal – gandhi.gov.in – is participatory in nature and all participating organisations will be able to upload their activities regarding the commemoration of the occasion,” a statement from the Ministry of Culture said. “It also has a unique feature — Gandhipedia — which will be a repository of Gandhian knowledge and will continue to grow with time,” it added. The Ministry said the logo had been obtained through crowd-sourcing and its branding will be done through trains, Metro, Air India, roadways buses, government websites, emails, government stationery, calendars and diaries, government advertisements and more. The logo will also be used by public sector undertakings, subordinate offices, autonomous bodies under the government of India. Minister of State for Culture as well as Environment, Forest and Climate Change Mahesh Sharma and Culture Secretary Arun Goel were present during the logo release at the Rashtrapati Bhavan here.